Are There Herbal Home Remedies That Help Flush Fat? No herbal remedy is going to suddenly get rid of large amounts of extra fat in the body. A review article published in Advances in Nutrition in 2004 noted that there isn't convincing evidence that any weight-loss supplement actually increases weight loss by a significant amount. However, some caffeine-containing herbs may slightly increase fat breakdown in the body. These include green tea, green coffee beans and yerba mate. Check with your doctor before trying any herbal remedy to make sure it is safe for you. Caffeine-containing herbs, such as yerba mate, may increase energy expenditure and fat breakdown, thus potentially increasing weight loss slightly. When you get more than 400 milligrams of caffeine per day, however, it can cause vomiting, nervousness, jitteriness and an irregular heartbeat. 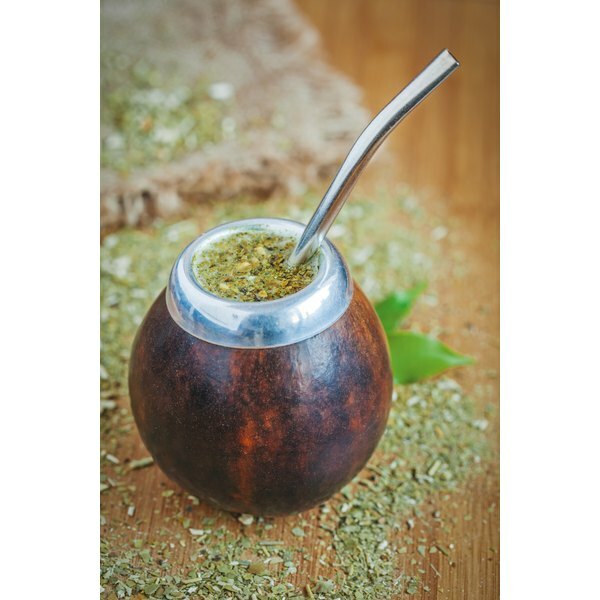 An animal study published in Laboratory Animal Research in March 2012 found that yerba mate may be helpful for treating diabetes and obesity, but further research is necessary to verify these same beneficial effects occur in people. Green tea and green tea extract may help increase the amount of energy and fat you burn and limit the amount of fat you absorb. This is due to a combination of caffeine and plant chemicals called catechins, including EGCG, found in green tea, according to an article published in Physiology & Behavior in April 2010. While drinking green tea isn't likely to cause adverse effects, green tea extract may cause increases in blood pressure, abdominal discomfort, liver damage, nausea and constipation. Green coffee beans may help limit fat accumulation in the body and improve glucose metabolism, but they could also cause urinary tract infections and headaches in addition to the potential side effects of caffeine if consumed in high amounts. A review article published in Gastroenterology Research and Practice in 2011 noted that a green coffee extract supplement was associated with a moderate increase in weight loss in the available studies, but that better-designed studies were necessary to verify this effect. Trading sweetened beverages for an unsweetened alternative, such as green tea or water, will help you cut calories while staying hydrated. For significant weight loss, however, your best bet is to eat less of foods that are high in fat, sugar or sodium and instead get most of your calories from fruits, vegetables, whole grains and low-fat dairy products. Cutting calories by 500 per day will help you lose about 1 pound per week, and adding more exercise to your routine can help increase your weight loss further.